Should I Ask A Mechanic To Inspect A Used Car Before I Buy It? Buying a used car is a process that most people hate for good reason. When buying used, you're basically at the whim of the seller and their willingness to truthfully disclose any issues with the vehicle, including prior repair work. I just bought a used car myself, but had the advantage of knowing the seller beforehand, eliminating much of the guesswork. If you're buying the car from a used car dealership, you should always determine what kind of a warranty program they're offering. 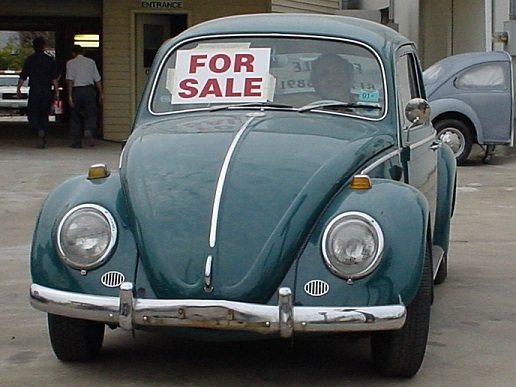 When dealerships buy vehicles at auction, the reputable ones will fix any issues before selling to the public. It's best to look for a dealership with actual mechanic bays as they're more likely to offer a warranty and repair any issues you may encounter since they have mechanics on-site. Make sure the seller understands that this is a condition of the sale - You need to properly communicate to the seller of the vehicle that in order to go forward with the sale, you require that a mechanic inspect the vehicle. If the owner isn't open to this, then you need to move on as it might be an indicator that they're hiding something. Of course, there could be a legitimate reason such as time constraints, but you'll have to decide whether you're willing to take that risk. Find a mechanic- Next, you'll need to find a local mechanic. Use our search feature to find a mechanic nearby and take a look at their page for reviews and shop information. Confirm that they work on the type of vehicle you're looking to buy and not just a specialty shop. If you can get a referral to a shop from a family member or a friend, that can be even better as a personal referral can certainly increase the level of service. Call and explain your situation to the mechanic and ask if they can perform a thorough inspection - This part is very important. You need to communicate exactly what you're looking to have the mechanic do. Many years ago, I was buying a vehicle and asked a friend's father, who was a mechanic, to take a look at it for me. I didn't specify exactly what I wanted him to do, only asking him to "inspect it" so he performed a standard state inspection without actually checking whether there were non-safety related issues with the car. I ended up buying the car and it experienced a host of issues for months until I sold it out of frustration. Explain to the mechanic that you are purchasing a vehicle and would like them to take a look at it to make sure that there aren't any mechanical issues. Ask them for their feedback and their recommendations for any questions to ask the seller. Don't forget to have the mechanic quote you a price for inspecting the vehicle. Ask the seller if they're willing to cover this expense, but don't be surprised if they decline. It is worth spending some money up front to perform the due diligence rather than having to pay further down the line. Allow the mechanic to inspect the vehicle and talk to you in private - When the vehicle is being inspected, allow the mechanic to do it in their work area without the seller present. After the inspection, ask to speak to the mechanic about the results in private, also away from the seller. This will serve two purposes. First, it will prevent the seller from trying to influence the opinion of the mechanic. Perhaps the seller will get along with the mechanic better than you do, this could influence their findings despite their best efforts. Second, the mechanic needs to be able to tell you exactly what they find without the seller interfering. No one likes confrontation, and no one goes around looking for it. A good mechanic values their reputation and will want to be as straightforward as possible, and you need to give them an environment where they can do that. Determine whether the results of the inspection are a deal-breaker - Listen to the mechanic's assessment of the vehicle and find out if there are any issues that will need to be addressed. If so, ask the mechanic to give you an estimate of the cost of repairs. If the mechanic finds any major issues that are massively expensive to fix such as engine or transmission problems, your best bet is to back out of the sale. Buying a car and then proceeding to spend money on expensive repairs is not a good way to start out a relationship with your car. Use the results to negotiate price- Unless the mechanic says that there is nothing in the vehicle that needs to be, or will soon need to be repaired or replaced, you will now have some new information that can help to negotiate the price of the car. This is why you should ask the mechanic to put together an estimate for the cost of any repairs that he or she recommends. Present this estimate to the seller of the vehicle and ask that they reduce the selling price by a similar amount. They may refuse, but at least you'll no longer be in the dark about your potential purchase. You can also propose that they have the repairs done themselves before selling you the vehicle. It's important to understand that the purpose of what you're looking to do is threefold; identify if there are any issues with the vehicle, repair any issues before you pay for the car, or adjust the price accordingly. Buy a vehicle without a proper review at your own risk, but remember that if you don't address any issues up front, it doesn't mean that they'll go away on their own.